Adding your organization information into WordFly is the first step in getting your account set up. This section includes information such as address, website, logo, and primary contacts. Organization name: This is your full organization name and will display on your account invoices. Category: This is used for benchmark reporting. Industry: The industry is set to Arts, Events and Entertainment or Other when your account is opened by a WordFly representative. Address: Please provide your full organization mailing address, including street, city, state and zip. 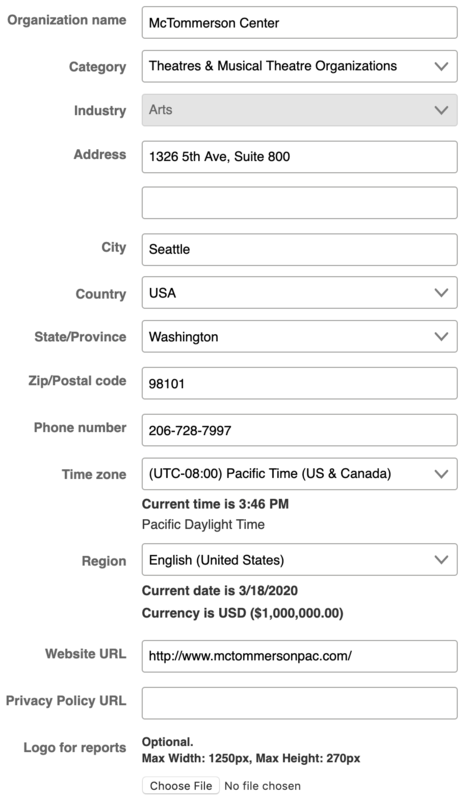 Time zone: Select the appropriate time zone for your location. This is important for time options in your WordFly account. Region: Select the appropriate English region to use for your account. This is important for displaying the correct language and currency settings across the site. Website URL: Please provide your organization's full website URL. Logo for reports: Upload a logo for your Campaign Reports (PDF export). The best size for your logo will be between 300px width and 50px height. 4. Click Save my changes. 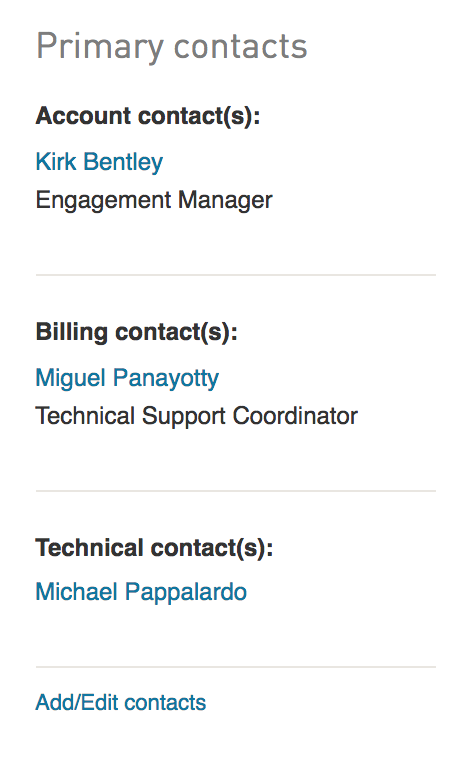 Your primary contacts (account, billing, and technical contacts) will be displayed on this page. These will need to be flagged accordingly in the Users page from the Account section. Click on Add/Edit contacts to manager users.